Detailing the thrill and adventure of a trip to the post office in Budapest. A trip to the post office in Hungary is like a brief look back into the communist era: An overly complex and grossly ineffient machine churns along like a Soviet tank. Things stay the same by inertia. „This is how we do it because this is how it has always been done” is a prevailing attitude. 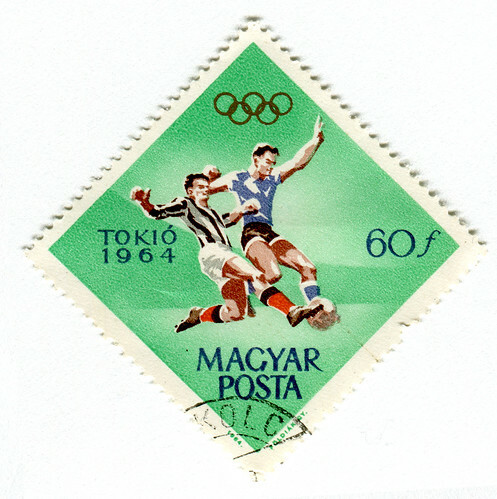 At Magyar Posta, you have to buy your stamps from a person, as there are no machines to perfom this mundane task. This person might otherwise be, for example, one of those artists that paints with his/her toes in crayon, and that or the post office were his or her career choices. The attendants lethargically tabulate the value of sending letters and parcels (somehow it is always different) and collect money for the utilities. Queues extend out the door as idle postal workers pretend not to notice. Nights and weekends, all holidays, and most afternoons the posta is closed. You need to schedule 45 minutes to an hour for a post office „run” in Hungary. If you receive a package, the Posta sends a postcard with what looks like a rooster’s first attempt at shorthand, i.e. a bunch of scrawling little letters. These letters should tell you something about where to go to get your package. This writing is almost never legible. Of course some people will say it is unfair to pick on postal workers because they would probably all be in group homes otherwise, smearing each other with feces, but still one wishes somebody would bring in some competent consultants.